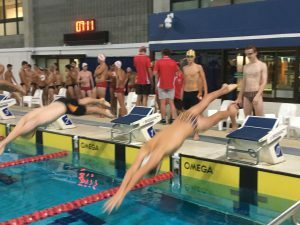 The first official GPS pre-meet of the 2019 GPS Swimming season went underway on Friday, 9 February at Brisbane Aquatic Centre. Hosted the School, the swimmers were rearing to go under the guidance of newly appointed Captain, Charlie Schoorl. It was a fast paced night with swimmers from Under 10 through to Opens competing against all other member schools of the GPS Association. Toowoomba Grammar School looked sharp throughout the night with a number of 1st, 2nd, and 3rd places setting the standard for the coming weeks leading into the GPS Championship. 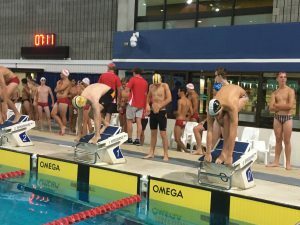 We look forward to our swimmers competing in subsequent pre-meets as they look to hone their individual and squad preparations for what will no doubt be an exciting evening on Friday, 8 March at the 2019 GPS Swimming Championship.